Pregnancy is a period with unique nutritional demands. Not only do you need to keep yourself nutritionally healthy, but your fetus also relies on your nutrition for optimal development. 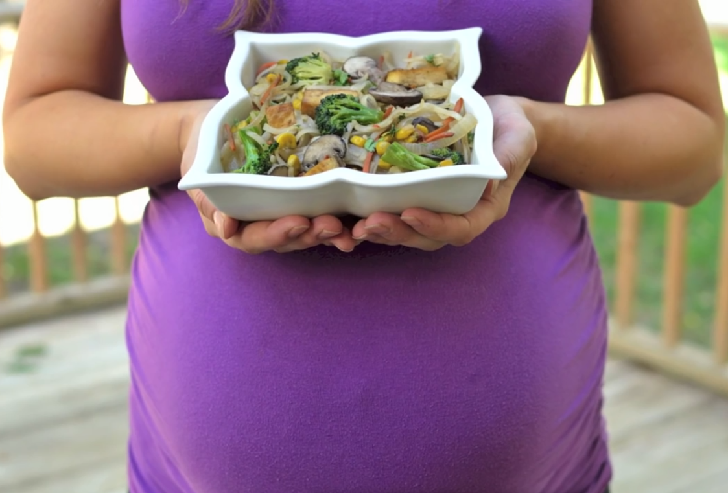 The basic principles of healthy eating are not too different during pregnancy. You need to be eating a balanced diet, containing all the major food varieties. Your diet must include lots of fruits, vegetables, whole grains, lean proteins, and healthy fats. This combination ensures you are getting the extra calories required during pregnancy, including all the necessary micro-nutrients that your developing baby needs. Whole grains and complex starches will give you healthy carbohydrates that leave you feeling fuller for longer. Fruits and vegetables are packed with vitamins, iron, calcium, fiber and other trace elements that will supplement your increased requirements in pregnancy. Lean meats, beans, poultry and dairy products give you a rich mix of proteins, iron, and calcium. Don’t forget seafood which contains healthy fats necessary for the baby’s neurological development. Plant sources of healthy fats include nuts, flax and chia seeds among others. You should be getting most of your supplements from whole foods, and only reserve nutritional supplements to fill in gaps. Folic acid, a member of the B vitamins family, is however especially important for neurological fetal development. This is recommended as a routine supplement, ideally starting before conception and continuing till the end of the first trimester. Most readily available prenatal supplements will contain the recommended amount of Folic acid. Those adequately nourished will not require extra calcium and Vitamin D, or indeed a multitude of other supplements. Adequate nutrition does not equate to over-nutrition. You need to avoid over-eating, which has risks of its own in pregnancy that include gestational diabetes and poor fetal development. You will also need to avoid feeding habits that could potentially predispose you to food-borne diseases. Avoid unpasteurized dairy products and raw or undercooked meats. If eating uncooked plant products, like salads and other vegetables, get them thoroughly washed or sterilized. Peel the skin off your fruits, or thoroughly clean them if you can’t resist eating the skin. Combine your healthy choice of eating habits with equally good drinking habits. You need plenty of fluids to keep you well hydrated and help eliminate toxins. Drink lots of water, aiming for about two liters a day. Combine this with fresh fruit juices and other beverages that you like. There have always been some queries about coffee, but a moderate intake of about two to three cups a day is deemed safe. Avoid alcoholic beverages, there’s never been a definition of the lowest safe level of alcohol intake during pregnancy. Your nutrition whilst expectant has a direct effect on the eventual pregnancy outcome. Aim to nourish yourself as optimally as you can. By: Dr. Alfred Murage is a Consultant Gynecologist and Fertility Specialist.